The Premium Series M8000 winch from Warn features the classic design that has been Warn's long time best selling winch lines. The M8000 is rated at 8,000lbs and is just the right size for Jeeps, trucks, and SUVs. A high power 4.8hp motor and 3 stage planetary geartrain ensure that the M8000 winch is capable of getting any job done fast. The M8000 winch is available with either 80' of 5/16" wire rope and a hawse fairlead or with 100' of 5/16" wire rope and a roller fairlead. The M8000 winch also comes with a handheld controller with a 12' lead and an automatic brake for precise control of your load. Warn has a lifetime warranty on the M8000 Premium Series winches. Warn offers a limited lifetime warranty against defects in materials or workmanship on all mechanical components of the M8000 Premium Series winches and a one year warranty against defects in materials or workmanship on all electrical components. 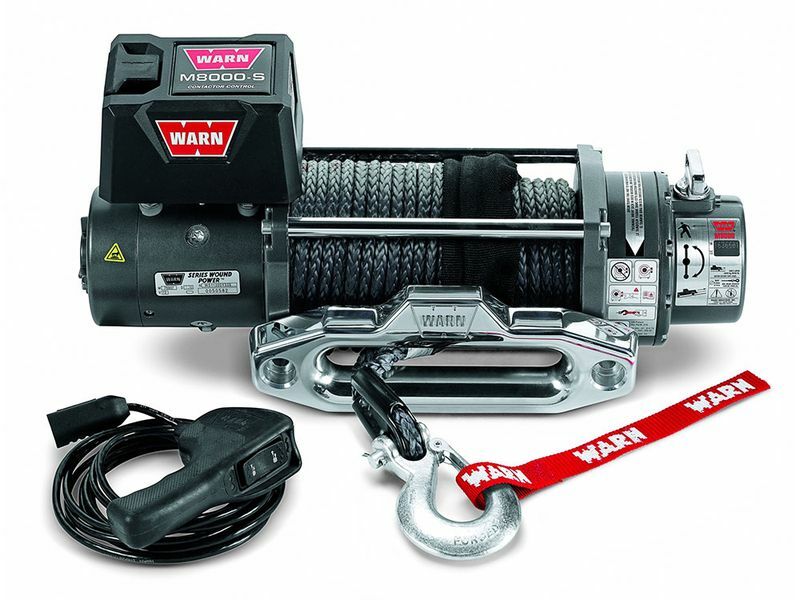 The Warn M8000 Jeep/Truck Winch by Warn Winch offers an easy at home installation. For additional information see the install manual below or call us at 1-866-309-1907 or 701-253-5906.